The Ownership Question The Clarity Question The Reality Question The Passion Question The Pathway Question The People Question The Cost Question The Tenacity Question The Fulfillment Question The Significance Question More importantly, Dr. Maxwell helps you to create the right answers, giving you principles and tips to so you can make good decisions and maximize every moment to achieve your dream. 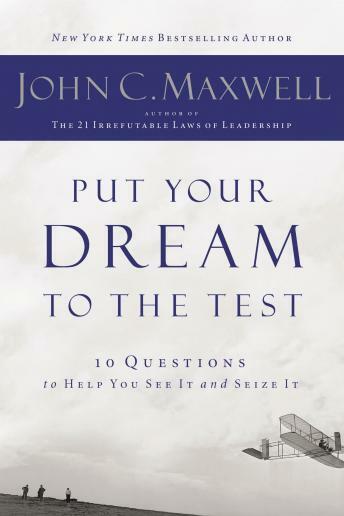 What an excellent book for one to measure their dreams with, all the points are so clear cut and straight to the point. I really found this book very focused and helped me to tighten a few lose ends on my dreams. The narrator also did a very good job. Fantastic book -- Just what I needed! I had begin to except what others were saying. " it's too late" but this book woke up the dreamer and ambition in me.